The debate on the cause of Dr Robert Atkins' death might have died down but his diet following has not. While the Atkins diet has somewhat slowed down in the US where it first began, more and more Indians are taking to this newfound fad for weight loss. Time and again, nutritional professionals have emphasised on the importance of eating right and physical activity as the surest and safest method to lose weight. However, time and again, fad diets crop up to gain followers till the fancy dies down. Or a new one rolls around. 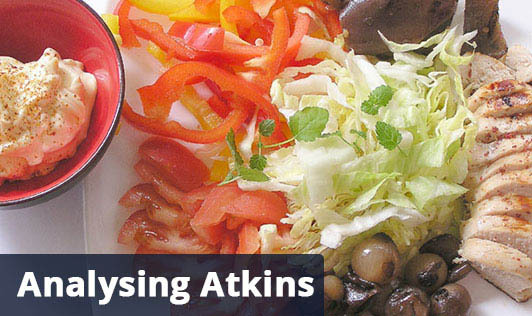 Atkins diet propagates a four-phase eating plan in conjunction with vitamin and mineral supplements and regular exercise. The diet also claims to provide long-term health and prevent disease. Atkins diet is based on the theory that when a person eats a low carbohydrate, high protein and high fat diet, the quantity of glucose released into the bloodstream is much less. Therefore, the body burns up stored fat to give energy for various activities. This helps a person to reduce weight. Excellent! Theoretically, it makes sense. Another positive point about Atkins diet is that it eliminates all refined carbohydrates (sugar, sweets, maida, etc). However, these two positives do not make Atkins diet infallible. The down-side: Basically the Atkins diet is a calorie restricted one (about 1,500calories per day) and weight loss happens in all calorie-restricted diets, so in that sense this diet is nothing special. The diet can promote dependency on supplements for nutrients that are not available through a natural diet. The diet is too high in animal protein, saturated and total fat and cholesterol and 90 per cent of the calories come from protein and fat while only 10 per cent of calories come from carbohydrates which far exceeds the recommended safe limits in terms of protein and fat. Also, the fibre content of the diet is far too low compared to the normal recommendations. Disease risks associated with this kind of diet are coronary heart disease, high blood pressure, colon cancer, osteoporosis, renal problems and constipation. Professional medical and nutritional organisations have warned of possible dangers of Atkins diet in the long run. If you need to lose weight, choose your diet wisely!